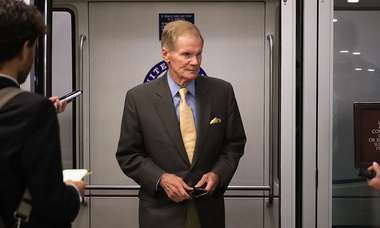 TAMPA – Sen. Bill Nelson shed his hyper-cautious reputation Monday, declaring that he expects to vote against President Donald Trump's nominee to succeed Anthony Kennedy on the U.S. Supreme Court. "Obviously I have to wait and see who the nominee is, but if, as President Trump has suggested, he's going to have a litmus test — and he said this over and over — on Roe V. Wade, then I'm not going to be voting for some justice who's going to overturn Roe v. Wade," Nelson said following a Tampa news conference with local environmental advocates touting his record and criticizing Gov. Rick Scott, who is challenging him for the U.S. Senate. Nelson is among the most vulnerable Democratic senators running for reelection this year, and he faces intense pressure from both the left and right on what is probably the most consequential decision made so far by the president. Among the 10 Democratic senators running for reelection in states won by Trump in 2016, Nelson is the first to voice his likely opposition. 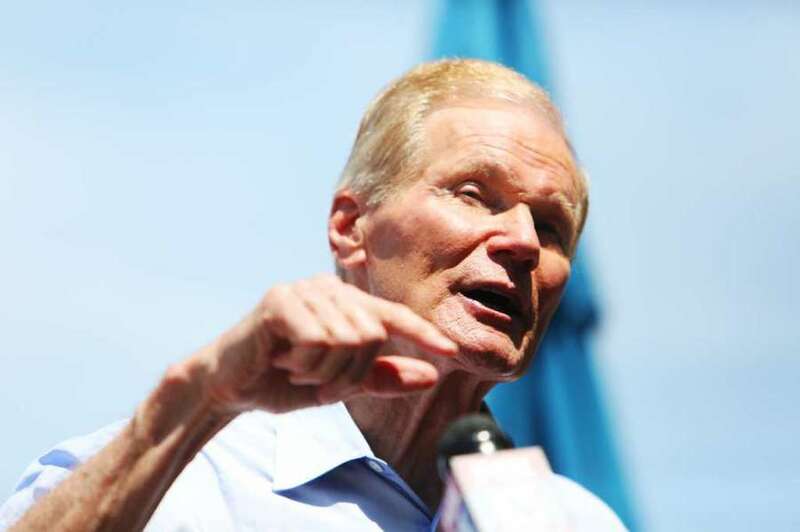 "Bill Nelson claims to be independent, but then he admits he expects to vote against the Supreme Court nominee before even knowing their name," tweeted Scott. "Only a career politician wouldn't recognize such blatant party line politics." Florida's senior senator said his decision will depend on Trump's nominee, but the president already has released a short list of 25 prospective justices who were reviewed by the conservative Federalist Society. Nelson "probably perceives that no one on that list of 25 is someone he is prepared to vote for and so it shouldn't be surprising," said Carl Tobias, a professor at the University of Richmond College of Law, who specializes in federal judicial selection. "There are not a lot of nominees on that list that many Democrats will support," said Tobias, noting that any candidate backed by the Federalist Society is likely comfortable overturning Roe v. Wade. After Kennedy announced his retirement last week, Nelson immediately faced pressure from both ends of the political spectrum. Liberals demand he oppose Trump's pick — or even allowing a vote — and conservatives aim to exploit his running for re-election in a state Trump narrowly won. An advocacy group called One Nation last week began running a digital ad calling on Nelson to "say no to the left" and support Trump's pick. The ad runs through Tuesday with a modest $10,000 behind it. But "this is merely the first step in our full-fledged advocacy campaign for the nomination and confirmation of a constitutional conservative to the U.S. Supreme Court," said One Nation president Steven Law. Scott released a video ad Monday that deemed the Democrat a "rubber stamp" for President Barack Obama's judicial nominees and noted that he "voted against Supreme Court Justice (Neil) Gorsuch," a reference to Trump's 2017 appointee. Abortion is not the only key issue Nelson worries about with a new Supreme Court justice. "How about upholding the Affordable Care Act that has given health insurance and health care to 23 million people in this country that never had it before?" 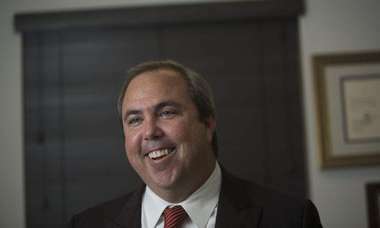 Nelson said, standing beside the Hillsborough River in downtown Tampa after receiving an endorsement from the League of Conservation Voters' political committee. 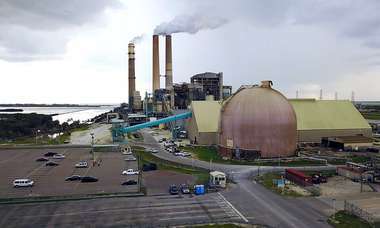 "And environmental laws," Nelson said. "Look what Trump is doing to the environment. And if that's not enough, how about pre-existing conditions now that Trump has joined the state of Florida in challenging in court the constitutionality of pre-existing conditions. You know how many this affects? 7.8 million people in this state. Almost 8 million people would lose their guarantee that their insurance company would have to cover them." Moderate Maine Republican Sen. Susan Collins, Nelson noted, says she will not support a nominee who does not fully recognize the importance of judicial precedence, and "Roe v. Wade has been judicial precedent now going on 40 years." Nelson opposed Gorsuch last year, but he remained on the fence nearly two months before making that decision. The stakes are much higher with this nominee. The White House does not appear to be counting on Nelson's support and instead is focusing on three other vulnerable Democrats facing re-election: Sen. Joe Donnelly of Indiana, Heidi Heitkamp of North Dakota and Joe Manchin of West Virginia. Gorsuch replaced a staunch conservative on the high court, the late Antonin Scalia, so he did not significantly alter the direction of the court. Kennedy was frequently the swing vote on issues from abortion to gay rights to crime and punishment, and his replacement is likely to shift the court significantly to the right. Washington bureau chief Alex Leary contributed to this report.